"So it's with his boldest strokes yet that he's approached his third solo album, Extinction Level Event (The Final World Front.) The 19 song disc is an apocalyptic tour de force, with Busta - who now commands the listener's attention with a rock star's ferocity - unleashing thought provoking verses one minute, and spitting out euphoric hailstones of hectic, teeth clenching rhymes the next. E.L.E. 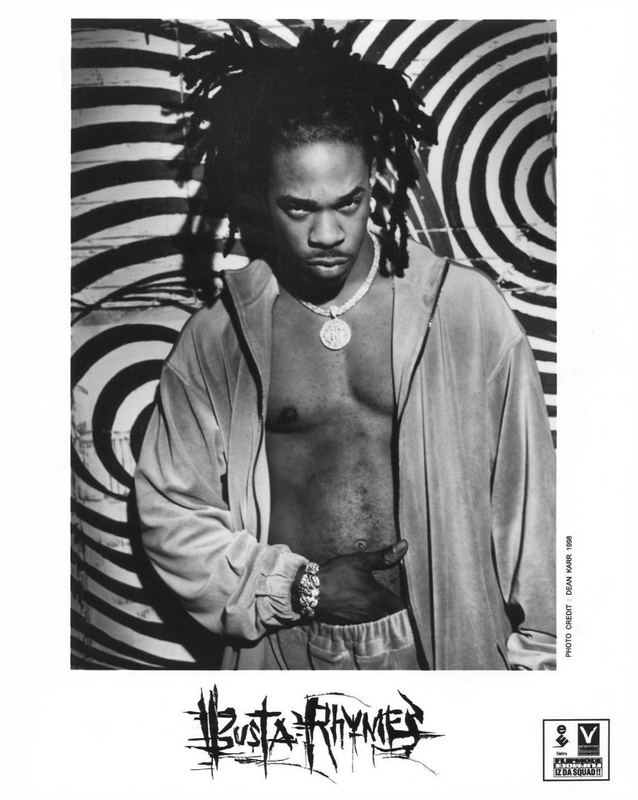 is Busta's crowning epoch. A maelstrom of enlightened, turbulent wordplay about the impending millennium. But where other rappers have only recently immersed themselves in the year 2K, Busta has long wielded a futuristic sword about him. The day of reckoning has served as subtext of his two smash platinum plus solo albums, 1996's The Coming, and 1997's When Disaster Strikes. 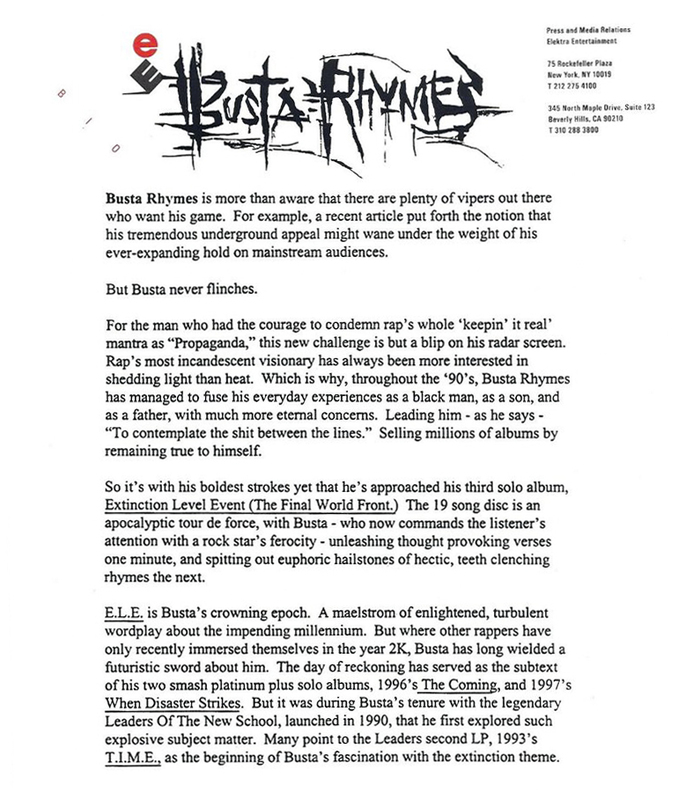 But it was during Busta's tenure with the legendary Leaders of the New School, launched in 1990, that he first explored such explosive subject matter. Many point to the Leaders second LP, 1993's T.I.M.E. as the beginning of Busta's fascination with the extinction theme." - Press Kit, 1998. Happy 20th!